So, you have decided to make the big move and need some additional space for your home or office. Well, you have come to the right place! 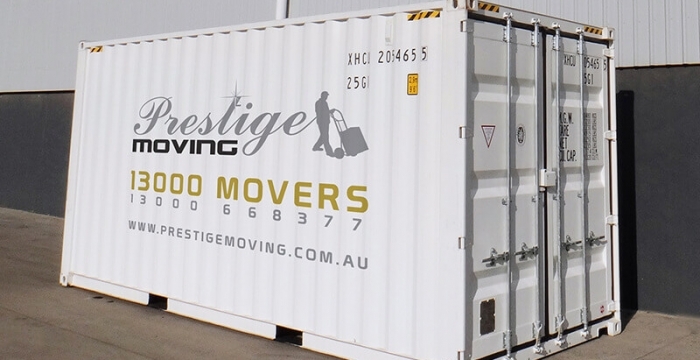 Prestige Moving has come up with some handy tips and a storage checklist to help you locate the suitable storage facility, maximize your storage unit, and keep your belongings safe and secure. Create an Inventory – make a list of all of your goods and decide which ones must be moved, stored or can be disposed of. This will help you determine how much you need to move and the type of storage facility that will suit your needs. Type of Storage – once you’ve completed your checklist, decide on the type of storage unit you need. There are self storage facilities as well as containerised units that will protect your possessions from the elements and minimise handling to reduce the risk of damage. Storage Facility Tips – once you know the volume of the goods that you need to store, you can begin searching for the best storage company in Melbourne. Keep in mind the following: make sure they have ample space to accommodate all your items; ensure that the storage units are pest proof, vermin proof and weatherproof; see to it that they are climate controlled; monitored by CCTV 24/7; and complete with fire control systems. Get Storage Quotes – source quotes from reputable removal companies because startups and smaller service providers typically use third parties for their storage options. Make sure that all quotes come from companies that can provide the specific services you need like professional packing, high-grade packing materials and storage boxes. Arrange Storage Insurance – once you’ve booked your storage service provider, arrange insurance because your house contents insurance may not cover your belongings while they are in storage. Next, we proceed to Storage Checklist to help ensure affordable, safe and stress-free storage solutions. Foodstuffs and dangerous items like corrosive, explosive, flammable, toxic, and water-reactive materials cannot be stored. If you move these into storage, you run the risk of invalidating insurance and even inflict damage to your goods. Take out the batteries of toys, remote controls and other devices to prevent irreparable damage if battery acid leaks in storage. Return electrical appliances to their original packaging. You may also use a moving box with plenty of protective packing material. Drain all oil and fuel from motorised machinery to avoid potential fire hazards. Carefully label storage boxes on all sides so you can locate them easily. Make an inventory with a list of all the items contained in each box. Double wrap special items that are prone to extreme temperature (i.e. old pictures, books and vinyl records). Request blankets from the removalist to protect furniture. This will help in keeping out dust and insects while your valuables are in storage. Removal companies often provide free packing blankets and heavy-duty wraps/plastic covers. Bear in mind that airflow can be limited even in the best Melbourne storage facilities so you should treat leather and wooden furniture in order to protect them from mould and mildew. Maximise your storage area by packing all the way to the roof; use plywood over multiple boxes to form stable layers. Longer items likes mattresses must be positioned at their edges along the walls of your storage unit. Use a good quality lock with a short arm so bolt cutters cannot be used to cut it open. Lay pallets across the floor to keep your possessions off the ground. This will ensure their safety during heavy downpours or in the event of a spill. Secure your unit and protect from damage, particularly in self storage facilities where penalties may be charged for any damage incurred. You can use plastic wraps to protect against any type of damage that your goods may cause. Our storage tips and checklist provide all that you need to know about storing your prized possessions. So, if you wish to store your valuables with peace of mind, knowing that they are safe and sound, don’t delay. Contact Prestige Moving today and talk to one of our frinedly representatives about your storage needs.